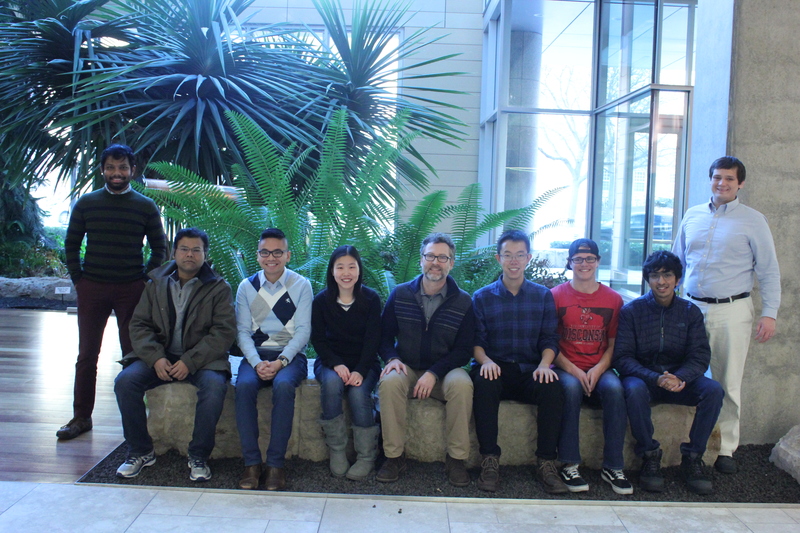 The Graham group studies the dynamics of flowing complex and multiphase fluids - materials whose microstructure interacts in a nontrivial way with how it is deformed by flow. These fluids - suspensions, emulsions, gels, molten plastics, solutions of macromolecules and many others - arise in a tremendous variety of natural and technological settings, and an important and intriguing aspect of the dynamics of these fluids is their intrinsically multiscale nature - the bottom-up and top-down coupling all the way from the scales of the whole process down to the scale of individual particles or molecules. Specific current interests are motivated by applications in microfluidics, nanotechnology, biology and energy conservation, and include manipulation of genomic DNA in micro- and nanofluidic devices, flow of suspensions of cells or vesicles, the swimming of populations of microorganisms and the dynamics of complex fluids in turbulent flows. The Flowing Complex Fluids Research Group gratefully acknowledges generous support from: National Aeronautics and Space Administration (NASA), National Science Foundation (NSF), 3M Corporation, American Chemical Society (ACS) - PRF, Air Force Office of Scientific Research (AFOSR).